Elegant during the day and glamourous at night: Changing your look couldn’t be easier. 1 pair of earrings – 2 looks. Discreet pearl studs during the day; extravagant pearl earrings for the evening. The trick: A second add-on component. 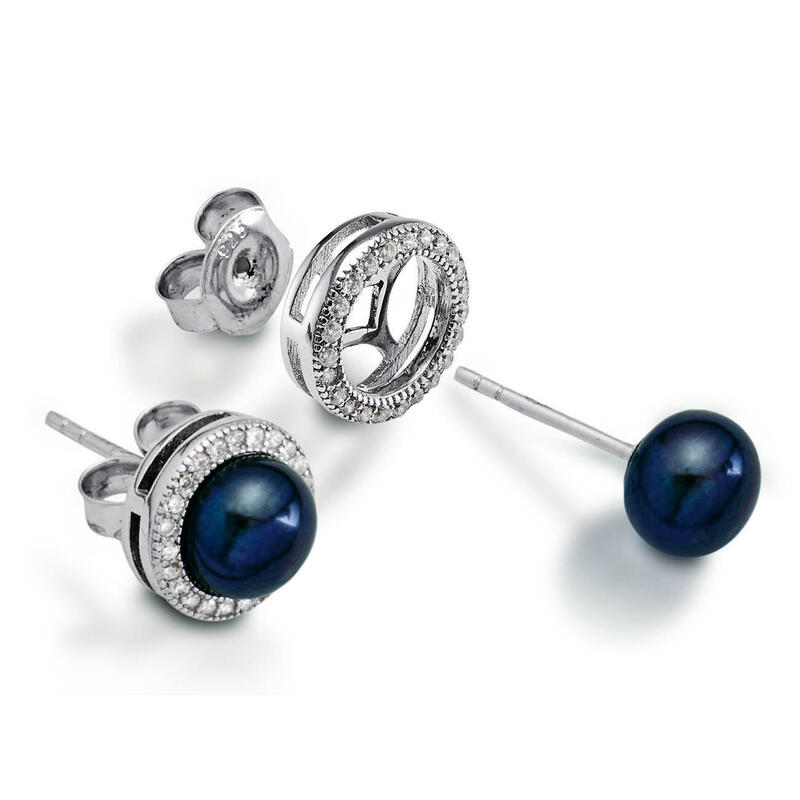 Always have the right earrings for the right occasion and outfit. 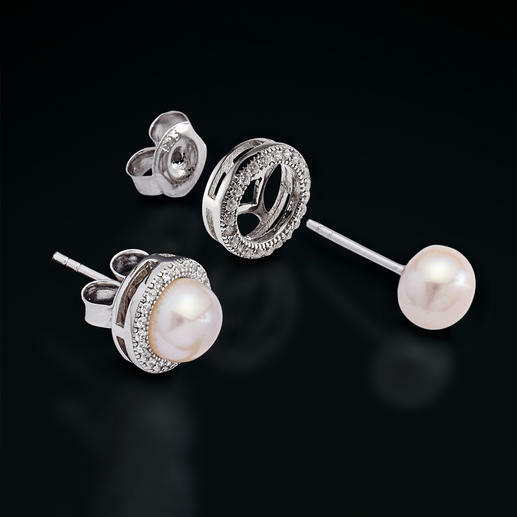 You can wear the discreet shimmering freshwater pearl studs on their own with your business suit. If you go out in the evening, simply add the zirconia attachment. These earrings are real eye-catchers and will be a topic of conversation. A very modern interpretation of classic pearl jewellery. The 925 sterling silver settings won’t tarnish thanks to the rhodium plating. Both freshwater pearls are almost perfectly round and measure 7.5mm (0.2") in diameter.